Don’t Miss this once in a year offer to enjoy massive savings on Weistec Performance Products for Mercedes, Mclaren, BMW. Weistec Engineering is an industry leader for European luxury car performance research, development, and design. Give your luxury performance car some more power for the holidays and have Sprint Motorsports order and install your new Weistec engine products. Based in Orange County, CA, Weistec aims to provide you the highest quality power and suspension upgrades made uniquely for your Mercedes-Benz, Mclaren, and Pagini. Weistec the experience and expertise needed to engineer the best products available, while their dedication to vigorous testing and creation of brilliant, elegant designs showcase their strong passion for the automotive performance community. Sprint Motorsports and it’s parent company RennWerks has cultivated expertise in top quality Mercedes mechanical work over decades of efficient, detail-oriented upgraded performance installations and services. We specialize in the advanced tooling and machine work necessary to fulfill intricate mechanical tasks. 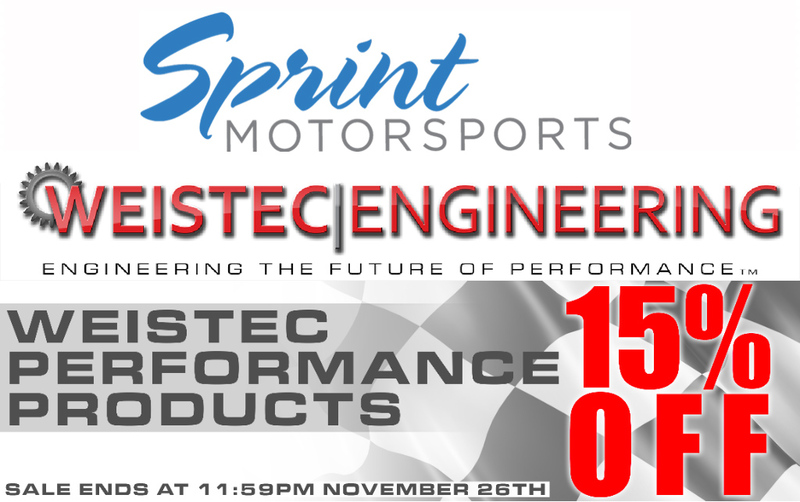 Sprint Motorsports is a Weistec certified auto performance shop. Order through Sprint Motorsports and have your products delivered for immediate installation. At Sprint Motorsports, we take pride in caring for our customers, and are invigorated by the opportunity to provide competent and comprehensive automotive repair services. We are the leading repair, service, upgrade, and tuning facility for Mercedes Benz and Mclaren vehicles in San Jose and the surrounding areas. We provide you personalized, detailed, and friendly service. Our relationships are customers are built on trust, communication, integrity, and commitment to our purpose; to be the best auto repair and performance shop we can be. To schedule an appointment for performance upgrades on your Mercedes Benz and Mclaren or routine vehicle maintenance and Mercedes repair, please contact service@sprint-motorsports.com or 408-831-3730. We welcome you to stop by our shop at 2099 S 10th St Unit 40 in San Jose, Ca. If you have any questions about your car’s performance or maintenance, feel free to ask our staff for assistance.